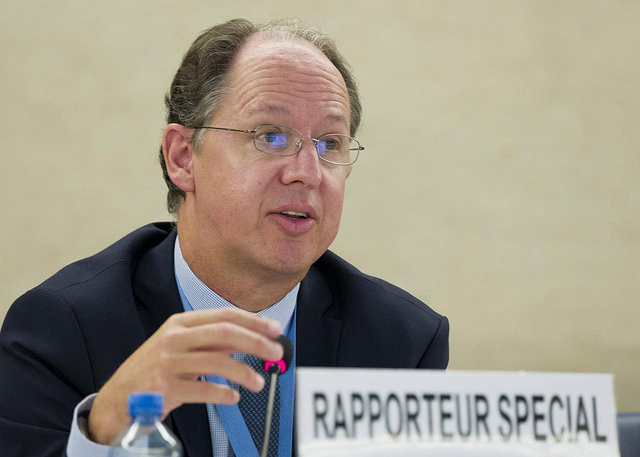 The Universal Rights Group is pleased to announce that renowned human rights expert Pablo de Greiff (Colombia) has joined the organisation’s Board of Trustees. Pablo de Greiff has over 20 years experience in global policy development of country level initiatives to prevent and recover from mass atrocities and human rights violations. His work focuses on drawing together human rights, peace and security, and development approaches. In his recent post as the first Special Rapporteur on the promotion of Truth, Justice, Reparations, and Guarantees of Non-Recurrence (2012-2018), Dr. de Greiff dealt with several sensitive country situations, including official and advisory visits to Burundi, Spain, Sri Lanka, Tunisia, Uruguay and the United Kingdom. In 2015 the High Commissioner for Human Rights appointed him concurrently as member of the United Nations Independent Investigation on Burundi, which presented its report to the Human Rights Council in September 2016. Prior to his post as Special Rapporteur, Dr. de Greiff worked as a Director at the International Centre for Transitional Justice and has also enjoyed a long and distinguished academic career. More information on the URG’s Board of Trustees can be found here.